Hey there... trying to get back in to the swing of things and get some cards made. Today I have two cards for two different, but very fashionable challenges: Runway Inspired Challenge #2 and Moxie Fab World - Stripe-tastic. With both of these challenges I was immediately struck by certain aspects of each photo. First up is my card for RIC #2. When I first saw the inspiration photo my eyes were immediately drawn to that gorgeous green purse the model is carrying and I wanted to make that color stand out on my card. Then I was struck by the pattern on her dress and lastly the odd purple eye make-up. Even though I'm not a fashionista by any stretch of the imagination I can appreciate a perfectly designed outfit. However, I do not understand why some of these designers have to do things like crazy eye makeup!! Anywhoo... I had an idea, but sadly I have been experiencing alot of bad headaches lately which generally leave me feeling completely untalented and so I struggled to get my card actually made. Today I was feeling normal enough to get it finished. I cut a piece of pale yellow cardstock and stamped it with an image from the WPlus9 Design set Background Basics 1 that reminded me of the pattern on the dress using grey ink. The sentiment is from PTI's Gracious Vase and was stamped using purple ink. I brought in the bright green by tying some grosgrain ribbon around the piece before applying purple and green rhinestones. I haven't done a Tuesday Trigger challenge in ages, but when I saw the current inspiration photo I just had to play along. 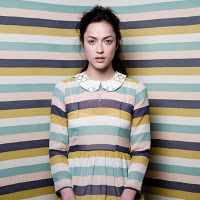 I took my inspiration from obviously the stripes and from the cute little Peter Pan collar on the dress. I found cardstock that matched the colors in the dress fairly closely and cut thin stripes of each. The bottom of the card was punched with a medium sized scalloped punch and then the stripes adhered in the same layout as the dress. The sentiment on this card is also from Gracious Vases. Hey there!! Wow... can't believe I haven't blogged all week! 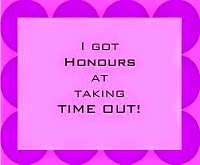 I did make a few things, but there were just way too many things going on that were far more important than blogging! But another week has passed and it is time for another Less is More challenge. This week Chrissie and Mandi are challenging us to use just one word on our cards. I wasn't going to make any more Christmas cards, but decided that I wanted to use my new T!m Holtz Vintage Noel die one more time before putting it away. 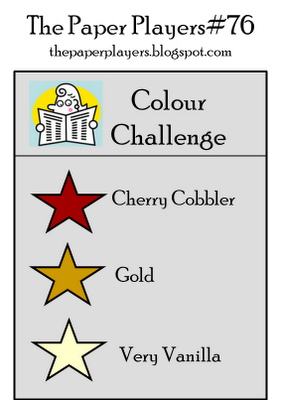 I also combined the LIM challenge with the current Paper Players challenge to use red, cream and gold. 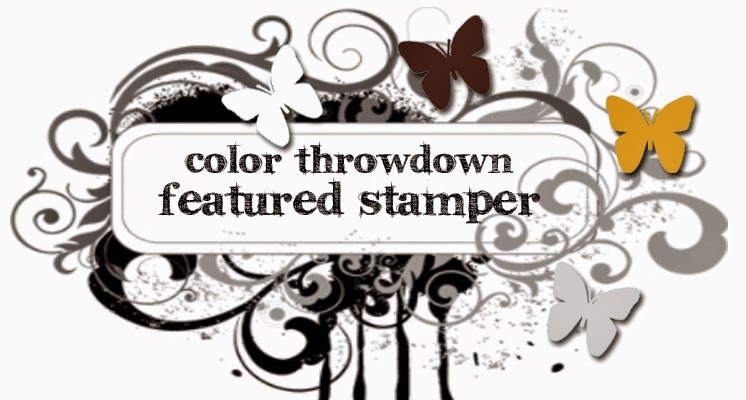 The card base is my favorite red of all time Stampin Up! 's Cherry Cobbler. Love, love, love the deep, rich color of this red. I diecut the "noel" from Cherry Cobbler, as well and then stamped it with Hero Arts Magical Background using Delicata Golden Glitz ink. Unfortunately, the patterned doesn't show up too well. I edged the cream mat with the Golden Glitz ink and after adhereing the diecut I added three gold glitter brads. Super simple. So... I would like to wish everyone a very Merry Christmas! I hope you all have the most wonderful time with your family and friends and remember what the true meaning of Christmas is... a baby born in a manger!! Hey there... quick post with my card for Less is More. This week Chrissie and Mandi have asked us to make a card that uses music in some way on it. I have been battling a really bad headache all day and finally this evening feel okay enough to try to make something. So... this isn't my best effort, but well... it could have been alot worse!!! 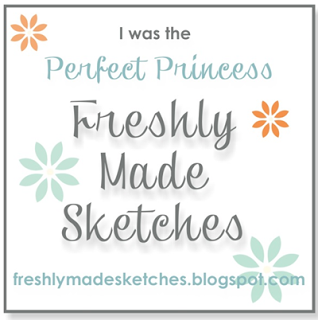 I used a couple of different Hero Arts stamps and a sentiment stamp from Savvy Stamps. The clef image is from the Hero Arts cling set "Musical Clef". I stamped it in Cherry Cobbler ink and then trimmed it out. 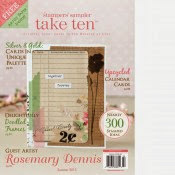 The doily type image is the Hero Arts stamp "Sunburst Lace". That was stamped in Memento London Fog. The sentiment was stamped using Tuxedo Black ink. The layout is from Clean & Simple. Hey there!! Today I have two cards. One card is for the current ODBD Shining the Light challenge (a sketch) and the other is for One Layer Wednesday (to make a card that says "peace" to me). Both cards use ODBD stamps. First up is my card for Shining the Light. When I went to work on this card I had very different plans for it, but try as I might nothing was coming together. It was just one of those days. So when I decided to give up on the first idea the ODBD sketch was waiting there to save the day! The background was created using the new PTI Quatrafoil die (what a coool die!!) and PTI's Rustic Cream cardstock. After I adhered it to the front of the card I stamped the main focal image from "Serve the Lord" on Rustic Cream cardstock using kraft colored ink and then die cut the image using the coordinating die. The verse (also from Serve the Lord) was stamped over the focal image using Rich Cocoa ink. A piece of kraft cardstock was cut, the ribbon (from SU!) was adhered and then the piece matted with dark brown cardstock. The focal image was then adhered and everything attached to the card base. After looking at the card for awhile I decided that it needed a little bit extra and so I added the brown rhinestones. I love the clean look of the card. For the second card I had to use green and my favorite stamping layout because when I look at both I'm totally at peace! The layout I used is one that I have used over and over again. Stamping an image on the lefthand side of the card, overstamping a sentiment and then adding a few pearls or gems... sigh.... to me so very peaceful! Add the color green and well... double sigh!! I just wish I could have gotten a better photograph. 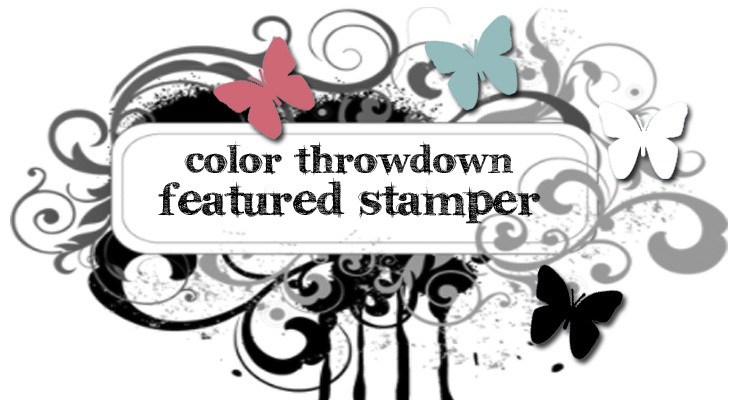 Supplies: Cardstock: PTI; Stamps: ODBD; Ink: SU! 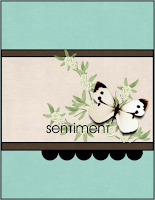 and Memento; Dies: PTI, ODBD; Gems: Hero Arts; Ribbon: SU! 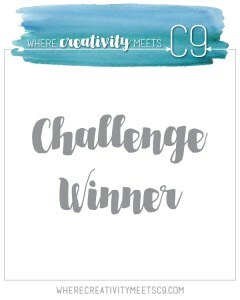 Hey there.... here with a card for two challenges: CASE Study and a brand spankin' new challenge called Runway Inspired. The inspiration photo from RIC features a dress from the Versace Spring 2012 line. I used the PTI set Stitches and Swirls because the images reminded me of the pattern on the dress. The inspiration card from the December CASE study muse, Amy, featured many, many layers. I removed quite of few of the layers but kept the elements of the embossing and diecutting. The image was stamped using Memento's Dandelion ink and the sentiment stamped using London Fog. The image was diecut using a Spellbinders Small Label die and then matted with Soft Stone cardstock diecut using a Large Label die. A few rhinestones were added, but in retrospect I think I would have left them off. Hey there!! Here with two cards for two Flourishes challenges. Timeless Tuesday.... a fun sketch provided by the super talented Silke!! And the Flourishes Christmas Spirit challenge. Both cards are a bit on the "plainy janey" side. The Christmas Spirit challenge this month is to use Santa in some form on your project. For my super simple card I used the santa ornament from the Holiday Sparkle set. I stamped the image on some Eclipse tape and then trimmed him out to create a mask. I cut a piece of Rustic Cream cardstock to the size I wanted and stamped the image in Cherry Cobbler ink on it and then covered it with the mask. I then stamped the pine bough over the mask using Old Olive ink. I distressed the edges of the stamped piece and matted it with Old Olive cardstock that had the edges distressed as well. Some Diamond Stickles were added along with a bow tied from twine. 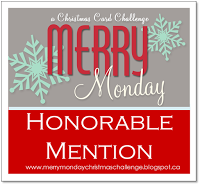 The second card is for the Timeless Tuesday challenge. I stamped the rose image from the set Petals and Peace on white cardstock with Tuxedo Black ink and then colored it with Copics (sorry... forgot to write down what colors I used). I then diecut the image using the matching Flourishes/Spellbinder die Classic Keyhole. The patterned paper is from the BasicGrey Jovial 6x6 pad. I combined it with some red burlap ribbon for a... well... interesting look! 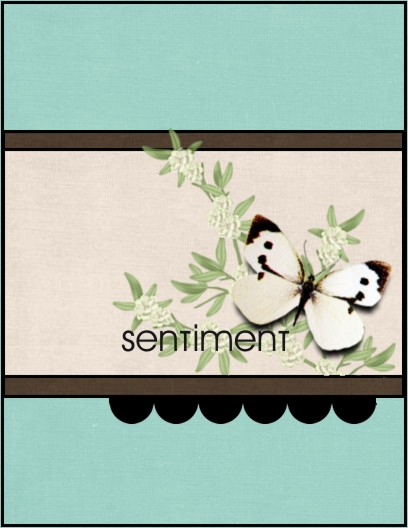 I think I will add a sentiment before sending it out as the card looks a bit plain without one. Hey there!! Another Saturday has arrived and with it a new challenge over at Less is More. This week the challenge is to create a one layer card using snowflakes. At first I thought I would use my neglected SU! set Serene Snowflakes, but then thought I should really dust off my very, very neglected PTI set Snowflake Serenade and use that instead. I had intended to use white cardstock, but then saw a piece of Rustic Cream cardstock that had already been cut and decided to go with that. I used SU! 's Night of Navy and Marina Mist to stamp the sentiment and snowflakes. Snowflake Serenada doesn't have a small snowflake so I used one from the Hero Arts set Decorate Your Holiday. I got out my trusty Quickie Glue pen to apply the right of amount of glue to the sentiment and snowflakes and then applied the glitter. Some score lines at the bottom finished off the card. Hey there!! I'm back with another Christmas card using the somewhat non-traditional Christmas colors of pink and gold. 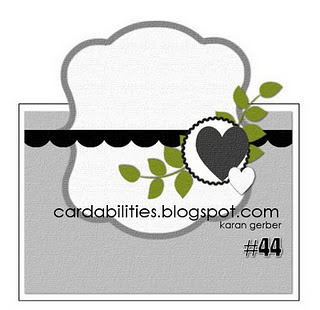 This time my card is for the Shabby Tea Room and the layout comes from the current Cardabilities sketch. 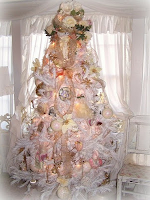 The Shabby Tea Room challenge is to base our project off another gorgeous inspiration photo and use pink, gold, neutrals, flowers and snowflakes. Combining all those things together really takes me outside my comfort zone!! But the fabby sketch from Cardabilities gave me the confidence to give it a go! I had recently purchased a T!m Holtz Alterations die called Vintage Noel and had been wanting to use it on a card. So, I got it out and went to work. I die cut the "Noel" image from white cardstock and then applied some Old Paper Distress ink to tone it down a bit. With my Quickie Glue Pen I outlined a portion of the image and poured on the gold glitter. I then added a bit of glitter to some tiny pink roses. The snowflake (Anna Snowflake from Poppy Stamps) was stamped on the pink cardstock using Delicate Golden Glitz ink. A single snowflake was diecut using the matching Anna Snowflake die, stamped with the Golden Glitz ink and then some additional glitter added to the center. The I die cut the Top Note from some Pink Paislee Butterfly Garden paper and distressed the edges just a bit. 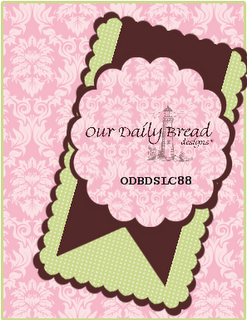 Then I layered everything up, adding the punched border and some pink grosgrain ribbon. I thought about adding some pearl flourishes but decided against it as I do love the card the way it is.... a bit shabby and a bit CAS. Hey there!! Hope your week is going well. It is cold, cold, cold here in the Pacific Northwest, but thankfully there is no rain (or snow for that matter)! 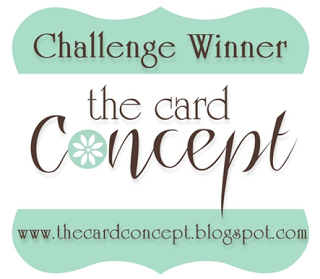 Have a card today for two challenges, CR84FN and the Paper Players that uses the current Sketchbook Saturday sketch. I am really lovin' Chupa's sketches! 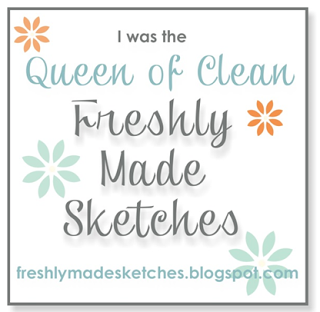 Not only is she a fantastic cardmaker... she is a mighty talented sketch designer, too! But boo hoo! 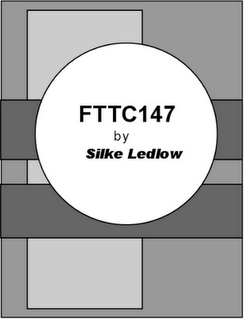 This is the last CR84FN challenge for the year! 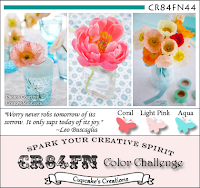 CR84FN is one of my favorite challenges because Mona always picks the most beautiful color trios. So... I shall be waiting impatiently for the challenge to start again in the new year! Anywhoo... the CR84FN colors this week are aqua, pink and coral, not traditional Christmas colors and so I thought I would combine that challenge with the Paper Players since their challenge is to create a card that either uses non-traditional colors for a Christmas/holiday card or one that uses non-traditional stamps for a Christmas/holiday card. 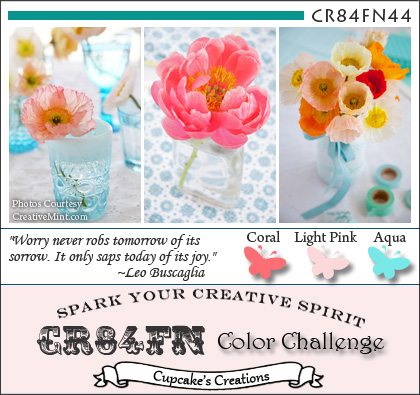 I think pink, aqua and coral are pretty non-traditional colors. The patterned paper is from the lovely Cozy Xmas collection by The Scrap Cake. The ornaments are from the SU! set Tree Trimmings and the sentiment is from Hero Arts. The inks are all from SU! (Cameo Coral, Pool Party & Pretty in Pink). I toned things down a bit with my favorite distress ink, Old Paper. Another pretty simple card, but I really like it. Hey there... Getting back in the swing of things with my cardmaking. Have a card for the current Flourishes Timeless Tuesday challenge to use ribbon, a flower and a tag and for the current CASE Study challenge to CASE a card by December's muse, Amy Sheffer. My card is a super simple version of her gorgeous card. I used the Flourishes set Paper Whites for my card, as well as some gorgeous Christmas papers from a company called Scrap Cake. The company is based in Poland, but I was able to find them here in the US through a webstore called The Flying Unicorn. Man... are these papers gorgeous! I can't wait to make another card using them! Still used green, but this time I added in Memento's New Sprout. The stamps are from PTI (Harvest Berries and Hero Arts). And since today is my birthday I decided to make this card a birthday card. Hey there! Boy it seems like ages since I last posted... just had a few things going on that were far more important than making and posting cards. 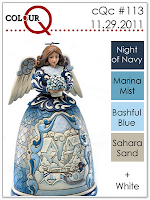 But now things have calmed down a bit (although I still have to decorate our tree and do a few other things) and so I found the time to make a card using this week's colors from ColourQ: night of navy, marina mist, bashful blue, sahara sand and white. When I started thinking about what I wanted to do I knew for sure that I just wanted to do some simple stamping. So I gathered up my inks and the stamp set I wanted to use (PTI's Harvest Berries) and did a couple of trial runs of my card to make sure that I got the right combination of colors. I don't have sahara sand so I subbed in crumb cake. The layout is one I probably use more often than most... image on one side in a light colour with the sentiment overstamped in a darker color. Then the finishing touch of a bit of bling.